Home News & Analysis Latin America Have Political Headwinds Changed Course For Brazil After President Temer’s Acquittal? Brazil Versus Russia: Which Equity Market Is Currently The Better Bet? Brazil’s President, Michel Temer, was freed of charges of soliciting illegal campaign donations by the Brazilian court on Friday, June 9th. “You don’t remove a president whenever you please,” marked Gilmar Mendes, the court’s top judge, citing that the evidence presented was not enough to prove that the illegal money that went to the political parties was used in the campaign. Have political headwinds changed course in Brazil? Political corruption isn’t new to Brazil (EWZ) (BRF) (BRZU). 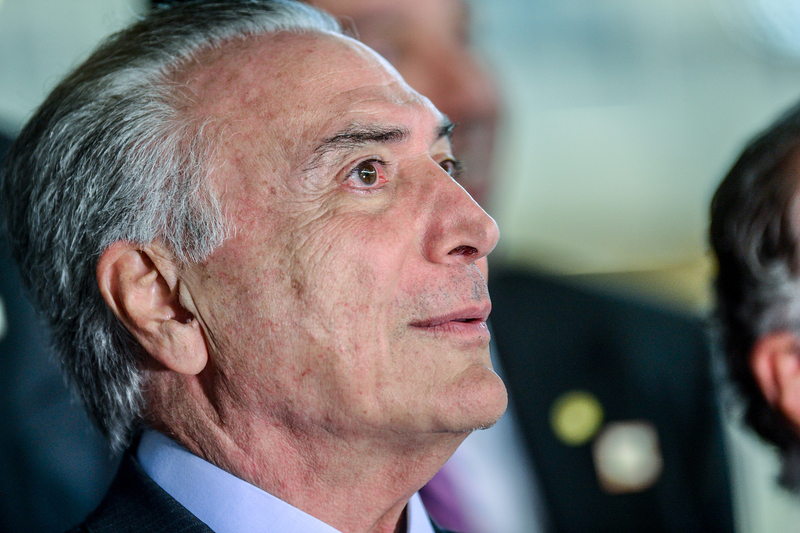 Temer himself is a survivor of several other scandals and charges in the past. 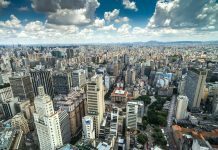 The Mensalão scandal, Operation Car Wash, and the Petrobras scandal serve as important examples of the close links between Brazilian politics and political corruption in Brazil. 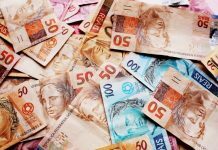 The Mensalão scandal: a vote-buying case of corruption that threatened to bring down the government of Lula da Silva in 2005. Operation Car Wash: investigation being carried out by the Federal Police of Brazil, Curitiba Branch under Judge Sérgio Moro since March 17, 2014. 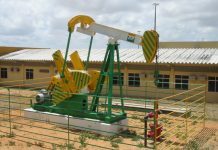 Initially a money laundering investigation, it has expanded to cover allegations of corruption at the state-controlled oil company Petrobras (PBR) (PBR-A) (PBRA). The Petrobras scandal: uncovered in 2014, it remains the largest corruption scandal in the history of Brazil. According to the investigation, top Petrobras executives colluded with an organized cartel of 16 companies to allegedly accept bribes in return for awarding contracts to construction firms at inflated prices. Petrobras officials estimate the bribe amounts to a total of nearly $3 billion. In August 2016, Brazil’s first female president, Dilma Rousseff, was removed from office while serving her second four-year term. Rousseff was charged with criminal administrative misconduct and disregard for the federal budget. Rousseff was also accused of failing to act on the Petrobras scandal or on the allegations uncovered by the Operation Car Wash investigation. She was replaced by Vice-president Michel Temer who is currently the 37th President of Brazil. 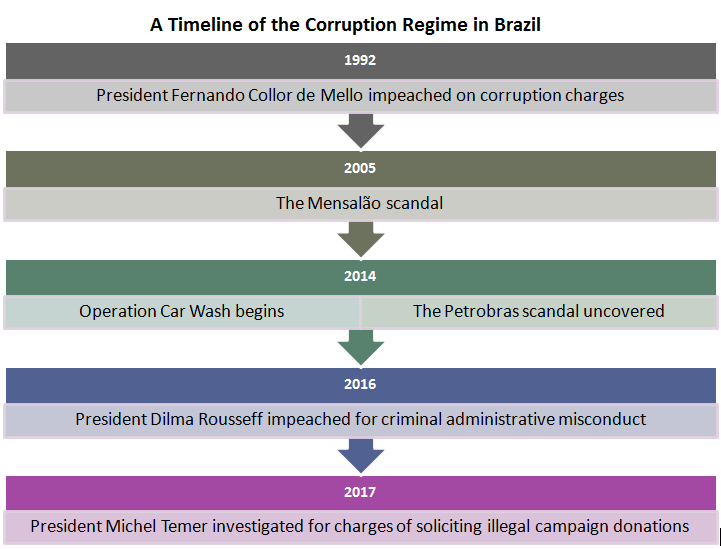 One of the largest incidents of political corruption of this generation in this Latin American (ILF) economy actually dates back to 1992 when Fernando Collor de Mello, the country’s first democratically elected president, was impeached on corruption charges.